You have reached our CLUB PARTNERS page where you can easily access any ACTIVE ordering links for your club. 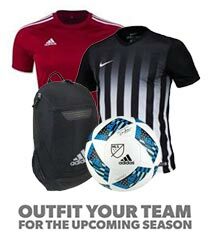 Please click on the appropriate kit below your club’s logo to reach your respective Catalog. Multiple links differentiate between kits depending on age-group/gender/etc., so please make sure you choose the correct link. If you are unsure of which Kit to choose, please contact your Coach/Manager/Club contact. Angelo’s will NOT have that information. 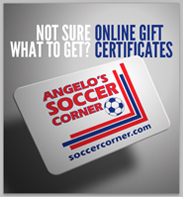 If you would like to order any items from our retail online site www.soccercorner.com, please note that those items must be ordered as a separate transaction due to separate platforms as well as different availability dates for delivery. Shipping for most retail items over $50.00 is free.